Locality: U.S.A., Washington, Skagit County: Chuckanut Mtn Area. Comments: Note slightly hairy toothed deeply veined leaves with flower stem longer than leaves. 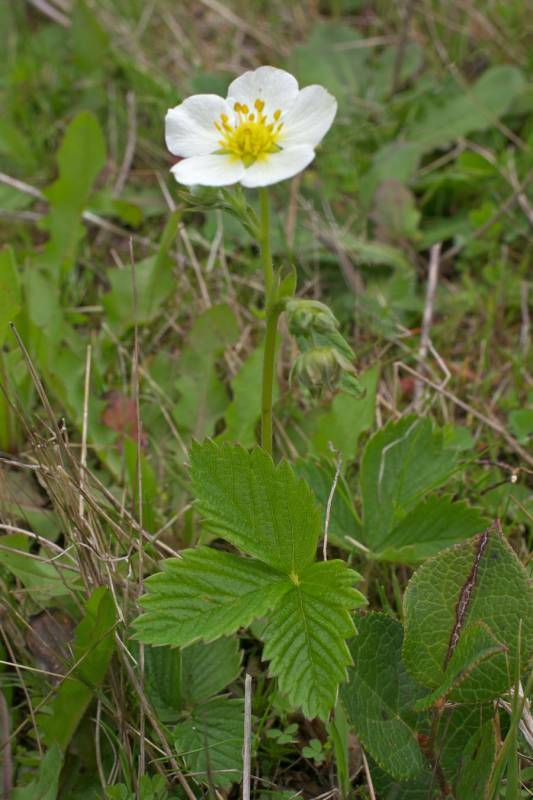 Unlike F. chiloensis (Beach Strawberry) terminal tooth of leaf is not shorter than neighboring teeth.